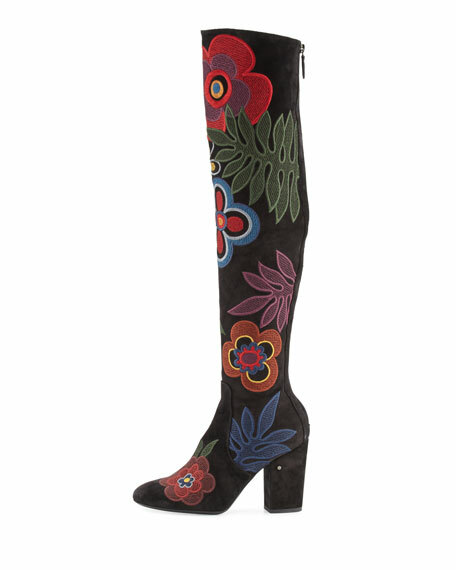 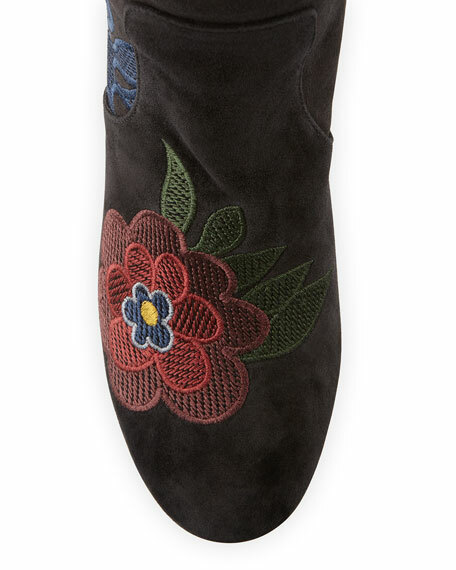 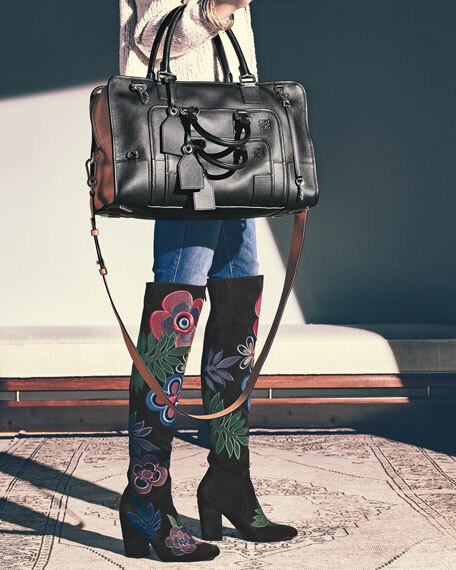 Laurence Dacade floral-embroidered suede over-the-knee boot. 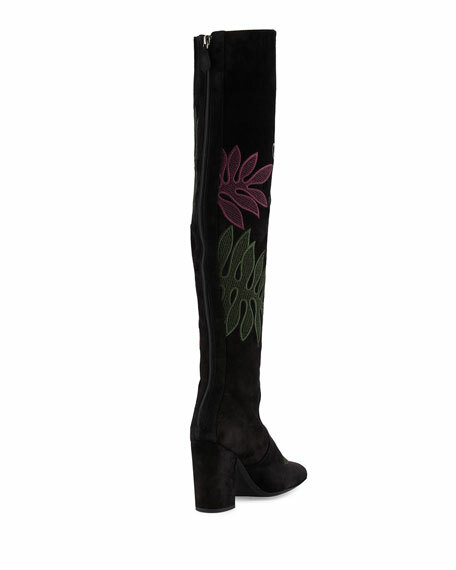 Fit contours line of leg. 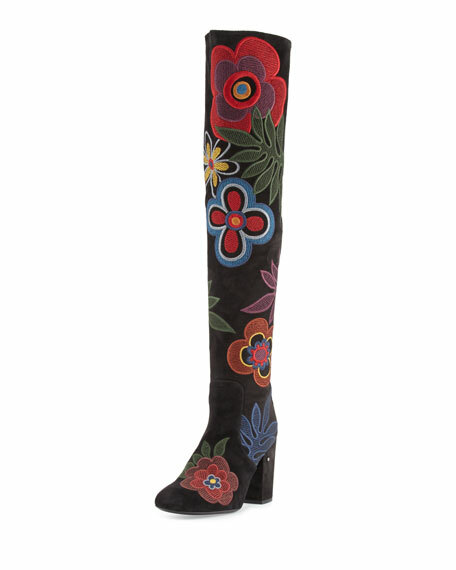 For in-store inquiries, use sku #1898575.